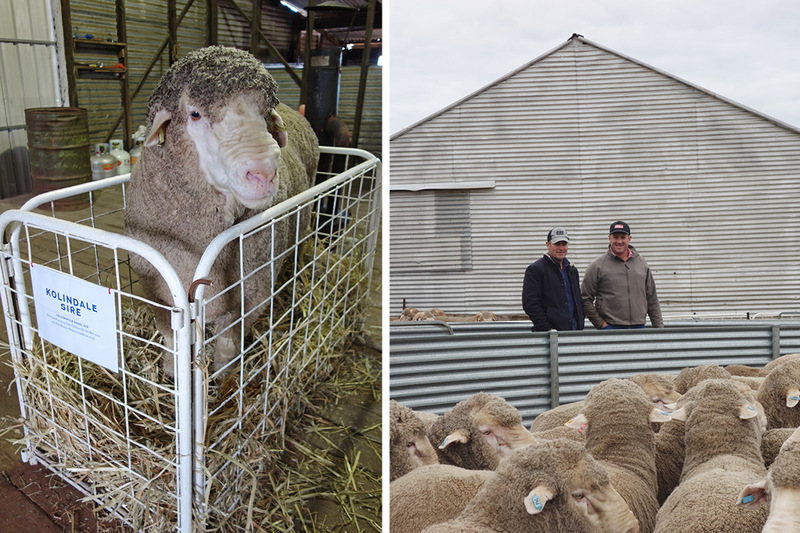 Great results on our wool clip and a big thank you to everyone involved. 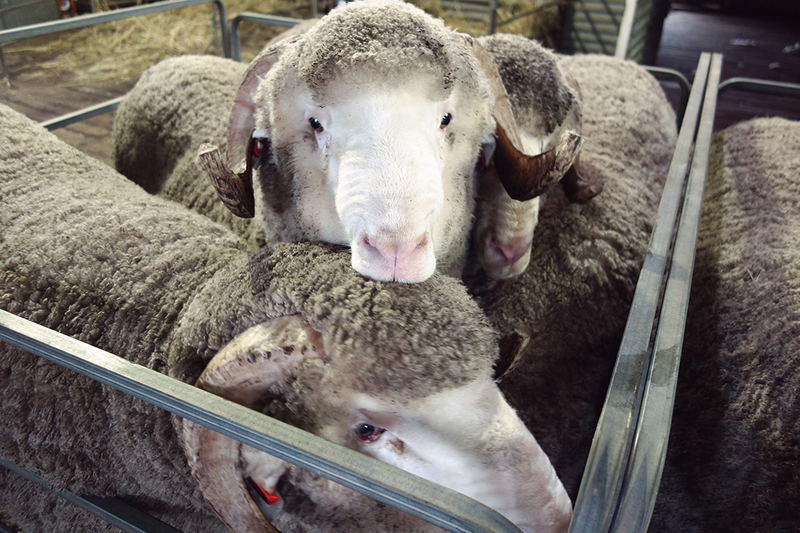 Thank you to all our clients for their continued support during our ram sales and private selections. 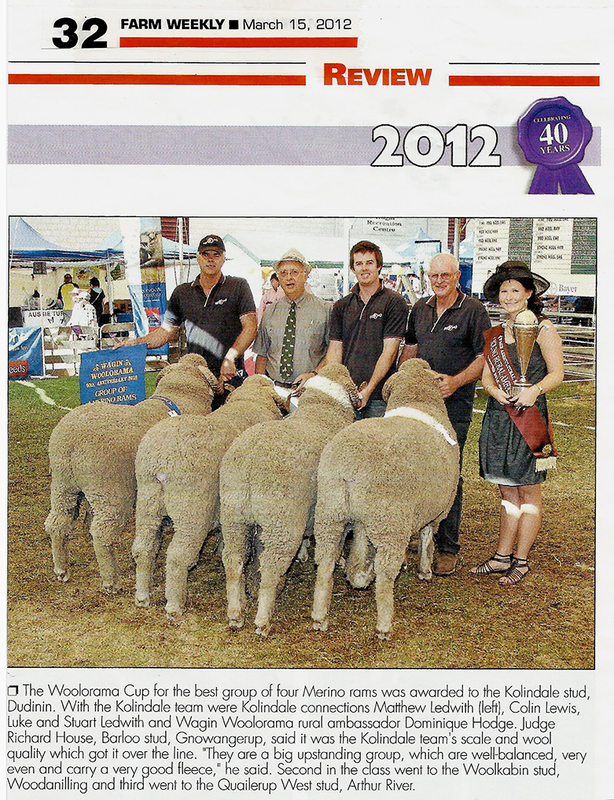 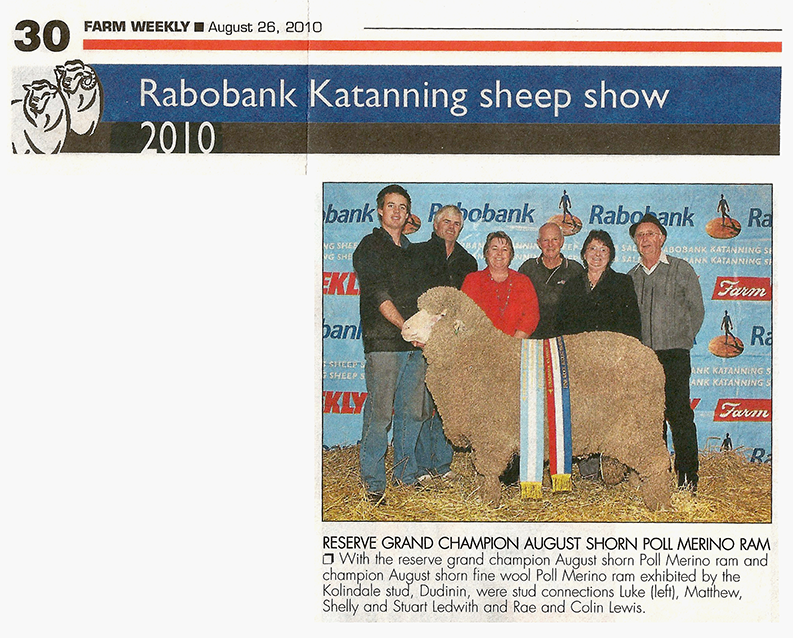 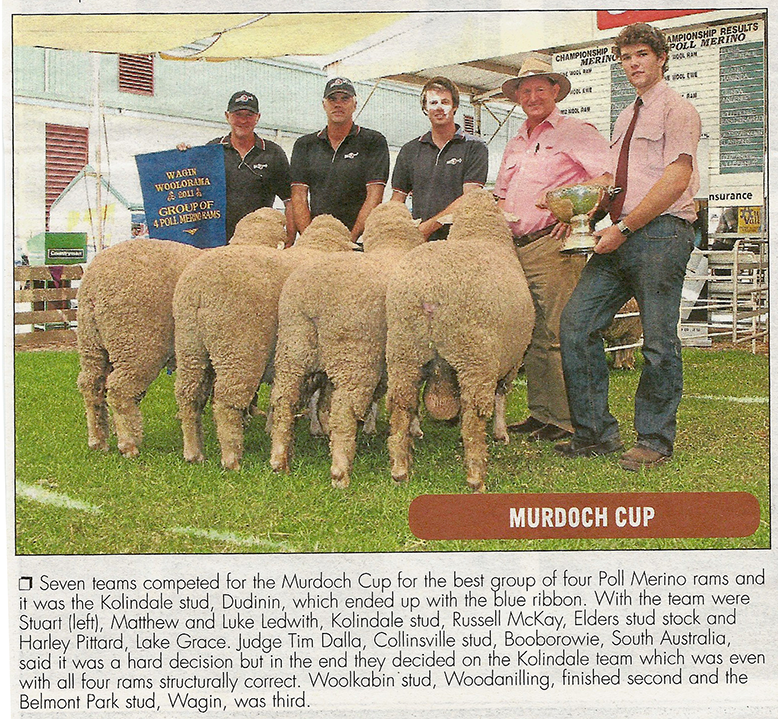 We look forward to seeing how all our Merino, Poll Merino and White Suffolks rams do throughout the coming year. 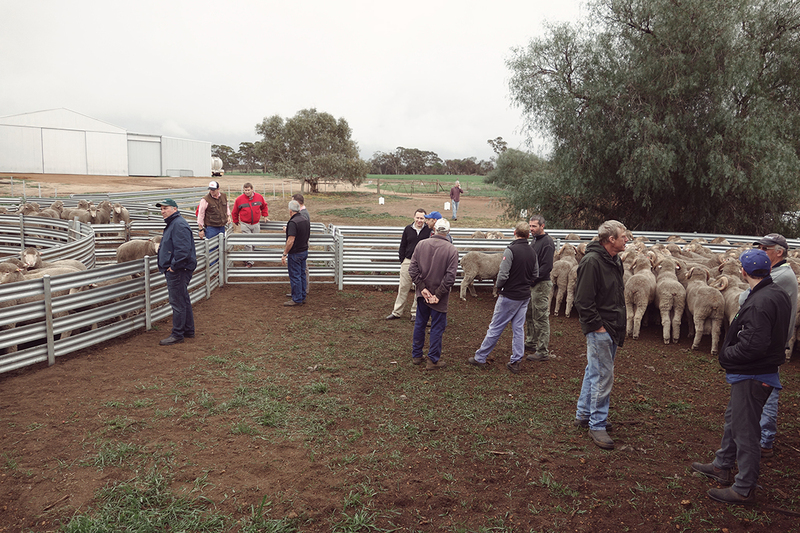 We had great results this year no rams being passed in at our On Property Sale and an average of $1643 over our 348 Merino and Poll Merinos and an average of $1240 over our 169 White Suffolk rams. 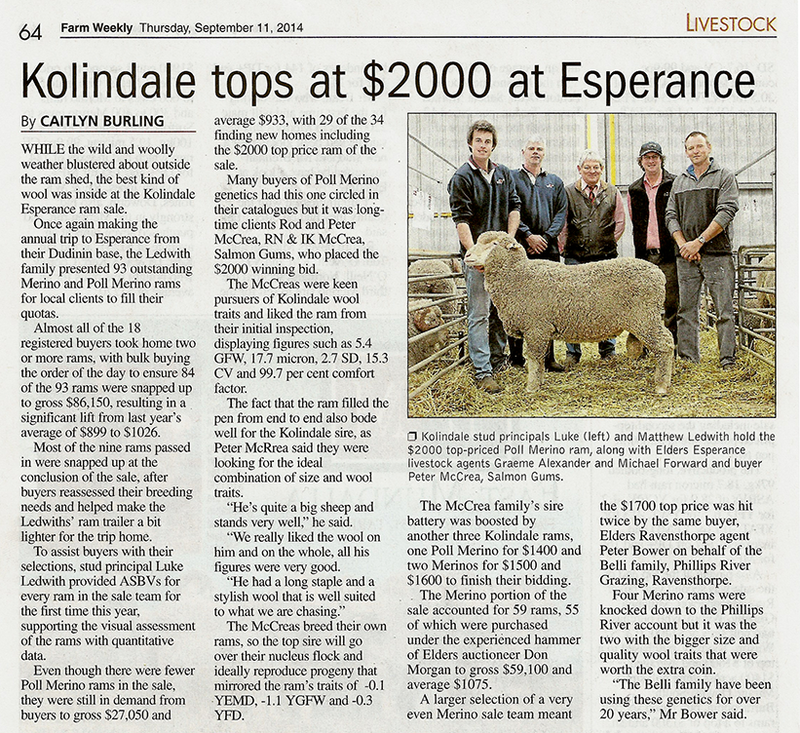 Thank you also to all our clients who made both the Esperance sale and Lewisdale Corrigin sale a great success.The days would not be possible without the efforts of the extended team and the Dudinin Tennis Club and Kulin Pub – thank you for all your hard work. 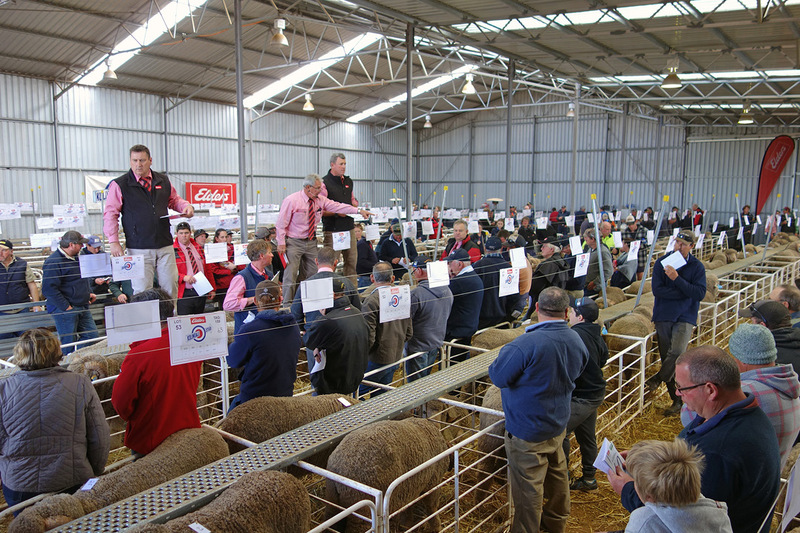 Thank you also to our agents, Elders, Landmark and WestCoast Livestock for the smooth running of the sales on the days. 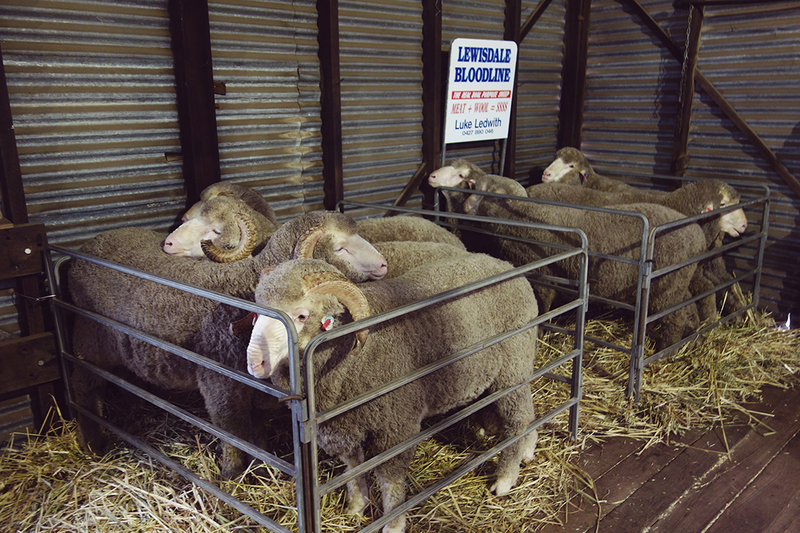 Private selections are now available for Kolindale, Lewisdale Bloodline and Lewisdale Corrigin Merino and Poll Merinos and Kolindale White Suffolks. 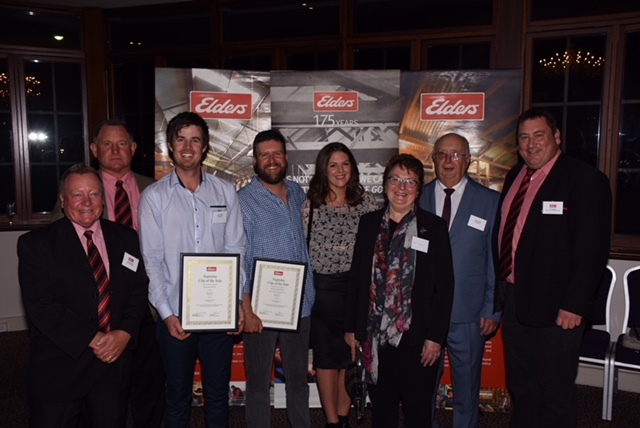 We wish all our clients great success throughout the year and please do not hesitate to call Luke on 0427 890 046 for any further information. 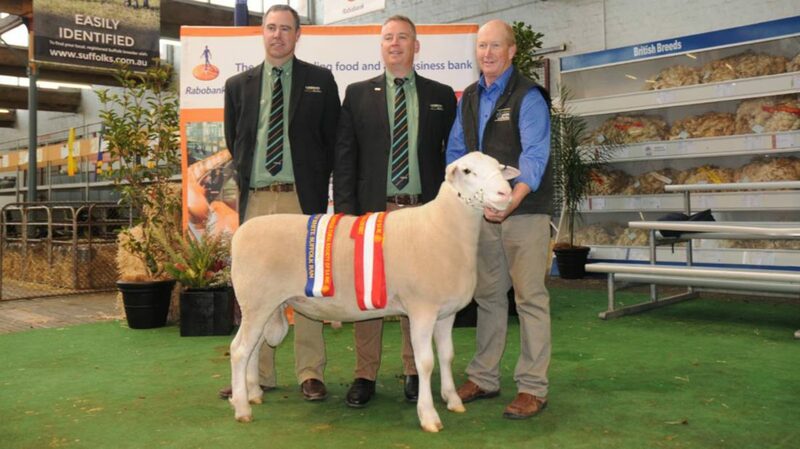 We are happy to announce our new White Suffolk Sire purchased for $17,000 from Ramsay Park stud at Minlaton. 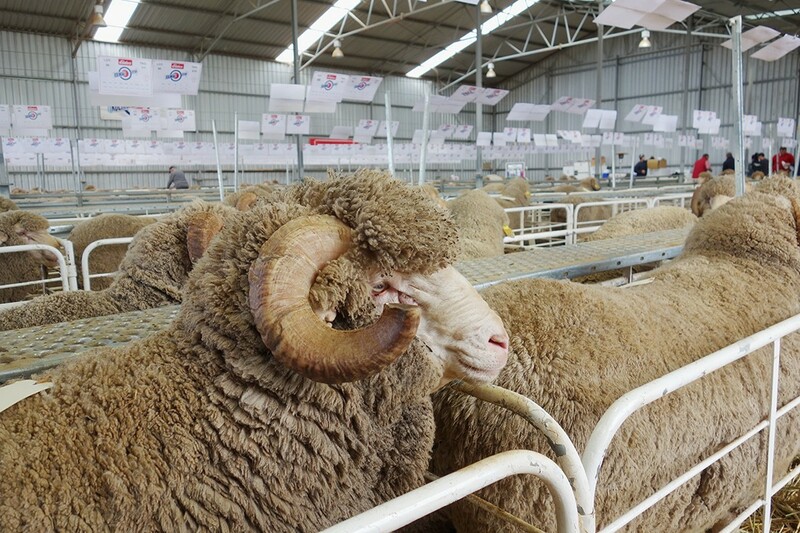 This magnificent ram was the supreme White Suffolk exhibit of the Royal Adelaide Show. 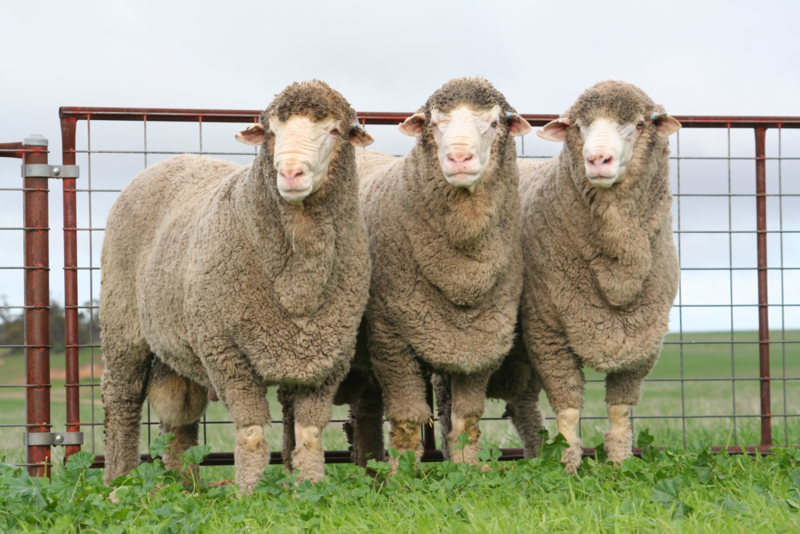 This May 2016-drop ram weighed 131 kilograms, with 15-millimetre fat depth and 48mm eye muscle depth. 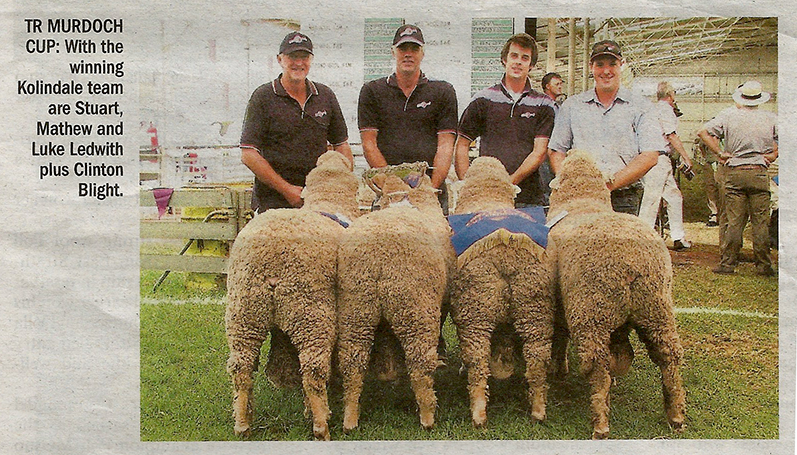 (Photo courtesy Stock Journal). 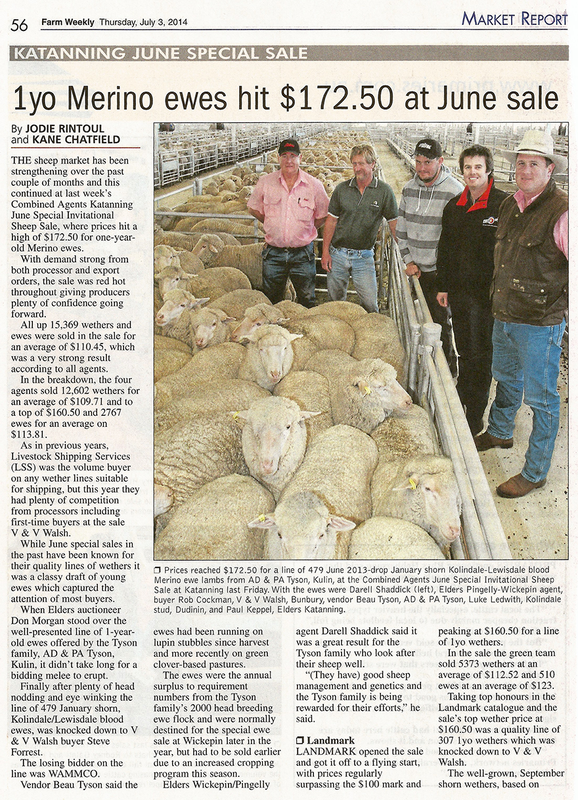 Stock Journal ‘Interstate Raid on Elite Sheep Genetics’. 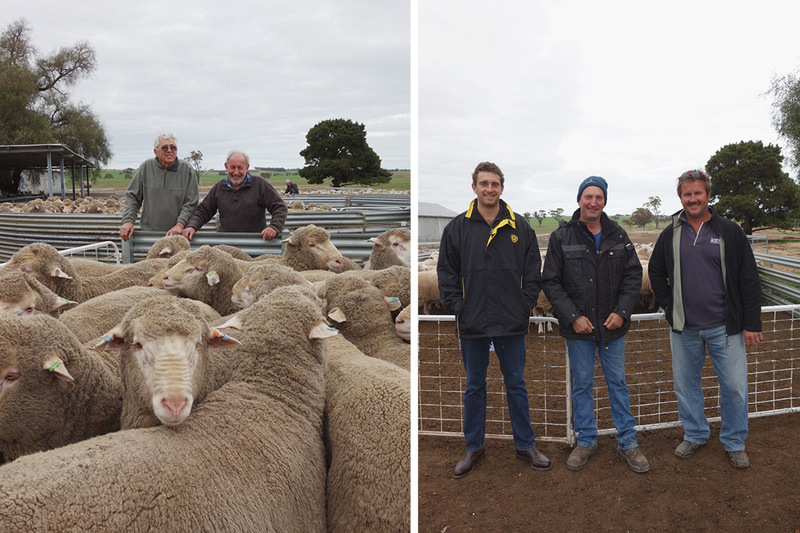 We would like to thank our clients for their continued support during the sales of our Merino, Poll Merino and White Suffolks rams. 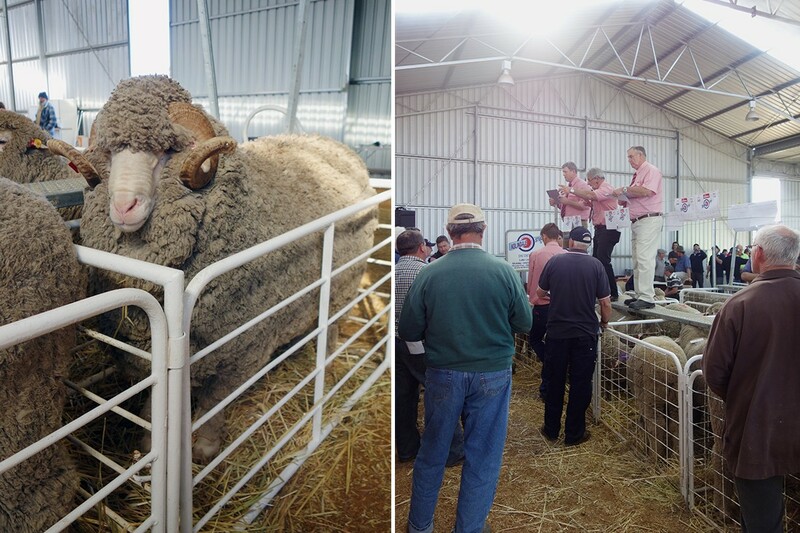 Our On Property Sale was a great day with the sale of 350 Kolindale and Lewisdale Bloodline Merino and Poll Merino rams and the sale of 150 White Suffolk rams. 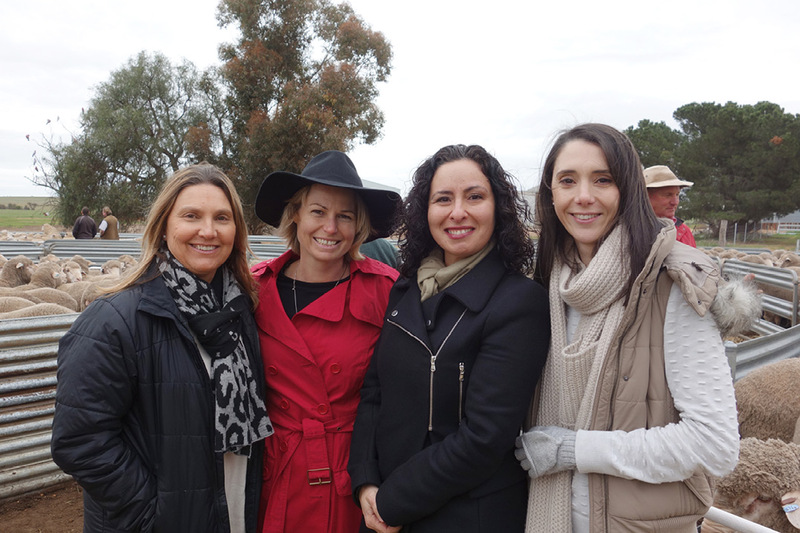 The day would not be possible without the efforts of the extended team and the Dudinin Tennis Club – thank you for all your hard work. 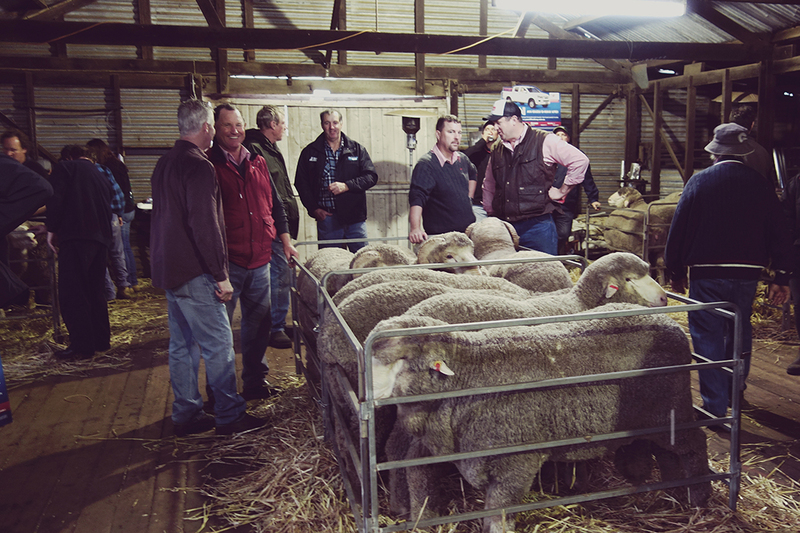 Thank you also to our agents, Elders and Landmark, for the smooth running of the sales on the day. 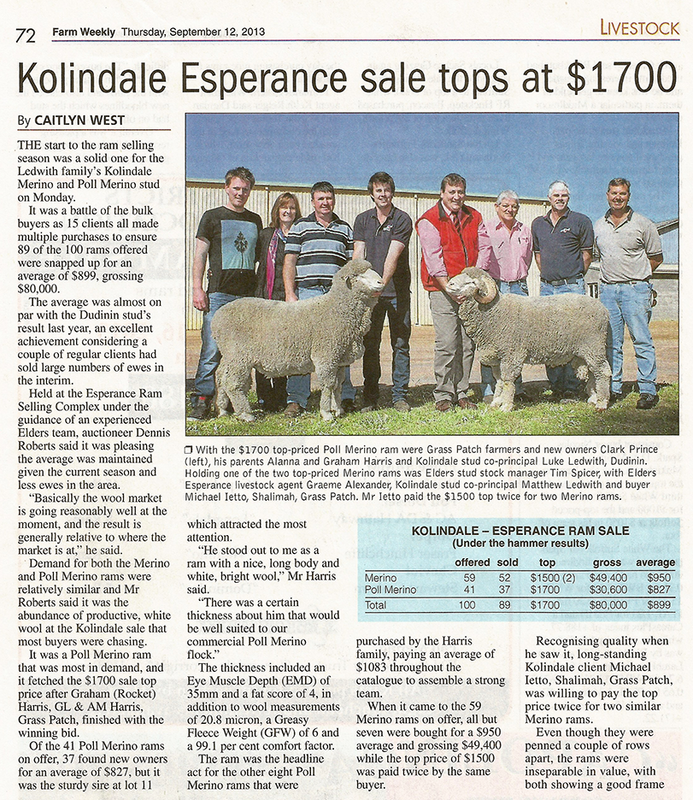 Thank you also to all our clients who made both the Esperance sale and Lewisdale Corrigin sale a great success. 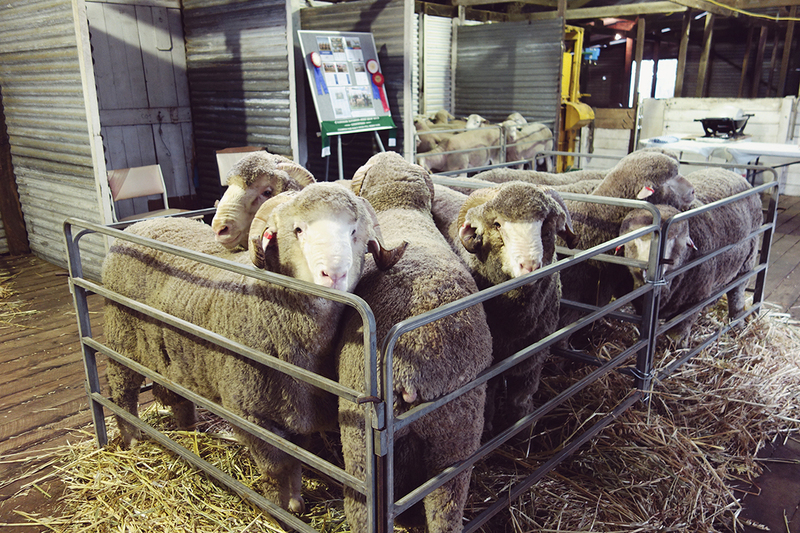 Private selections are now available for Kolindale, Lewisdale Bloodline and Lewisdale Corrigin Merino and Poll Merinos and Yanda White Suffolks. 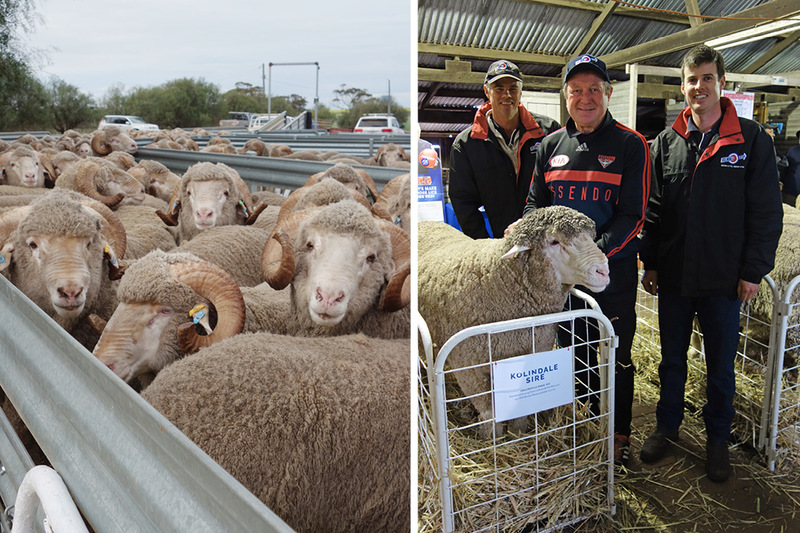 We are pleased with our win of Champion Medium Wool Poll at the 2016 Wagin Woolorama. 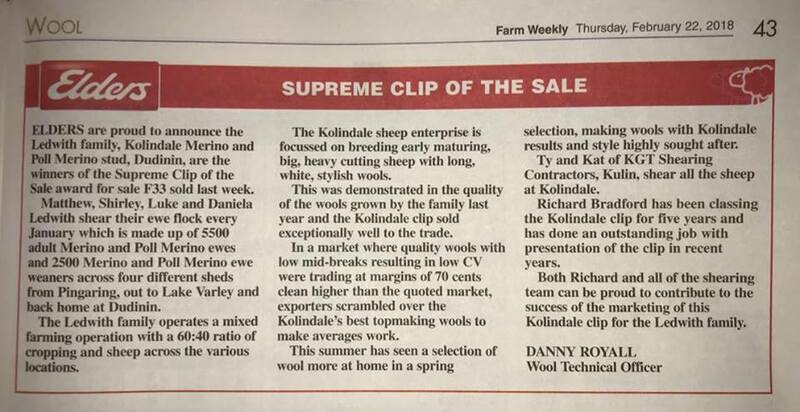 Thank you to all of the Kolindale team for their efforts. 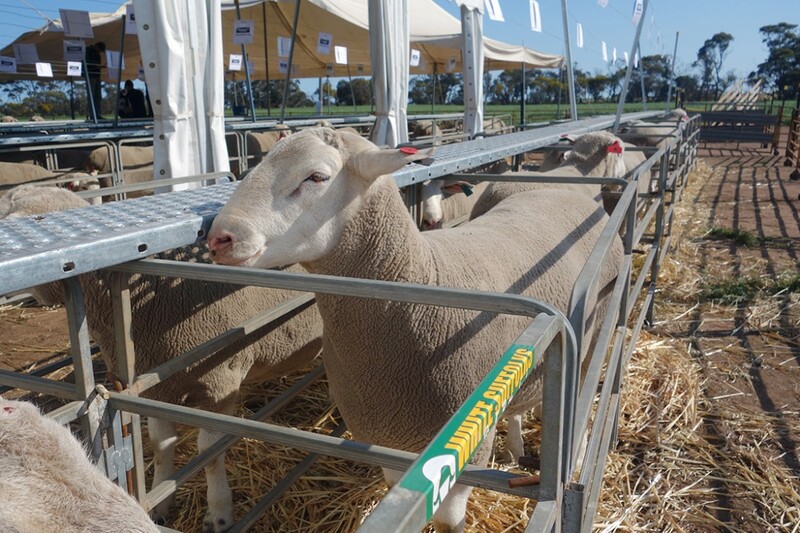 Welcome to the family – our new White Suffolk Sire purchased at the Perth Royal Show today for $18,500 from Kiara White Suffolk Stud. 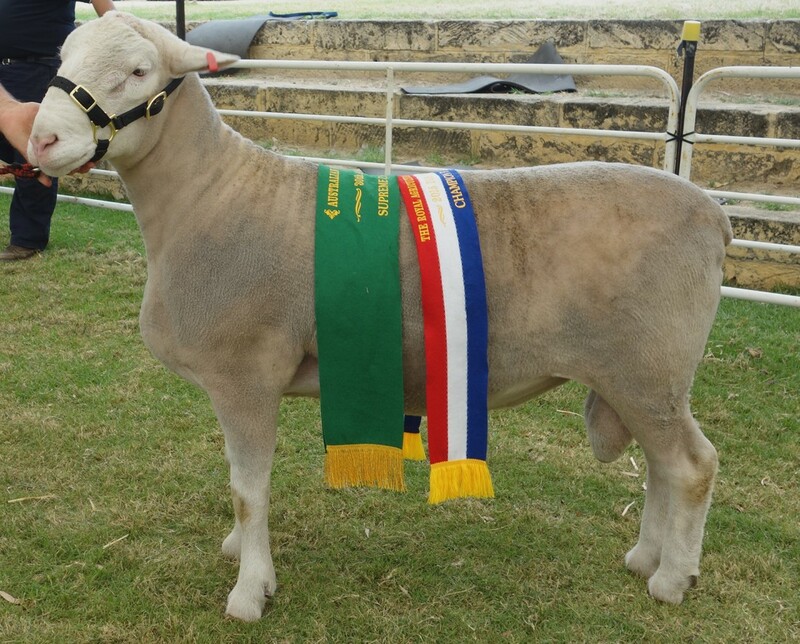 This impressive ram won 2015 Grand Champion White Suffolk and we are looking forward to next years lambs. 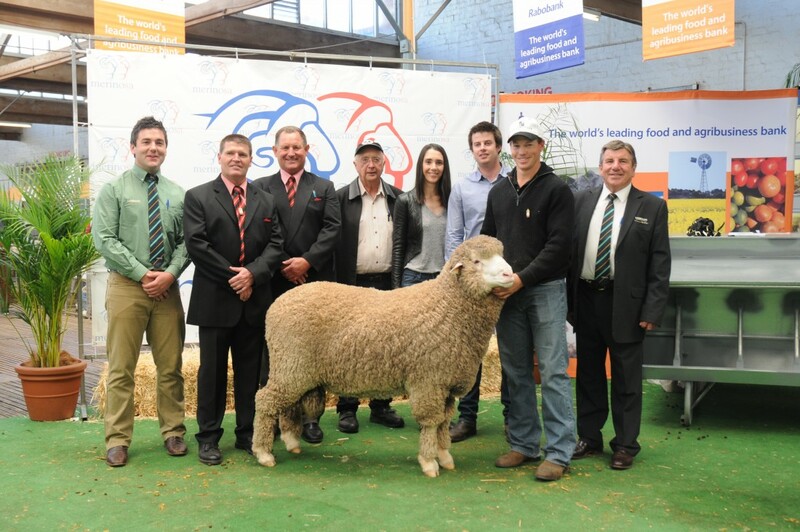 A total of 3 new White Suffolk Sires were added to the Yanda family from the 2015 Perth Royal Show All Breeds Stud Ram and Ewe sale. 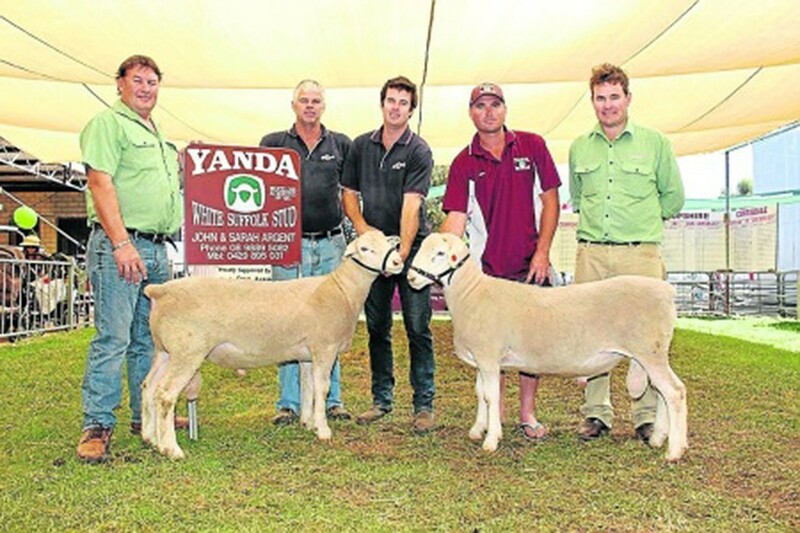 We are pleased to now offer one of the best prime lamb breeds with the purchase of Yanda White Suffock Stud. 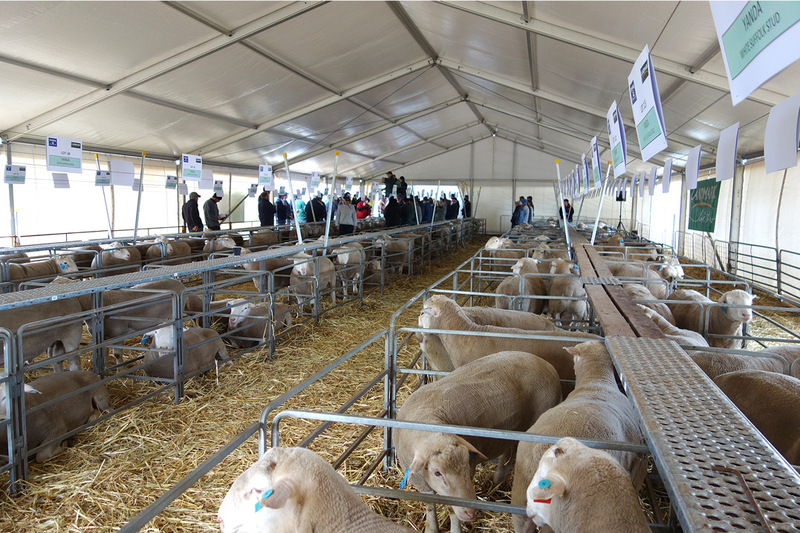 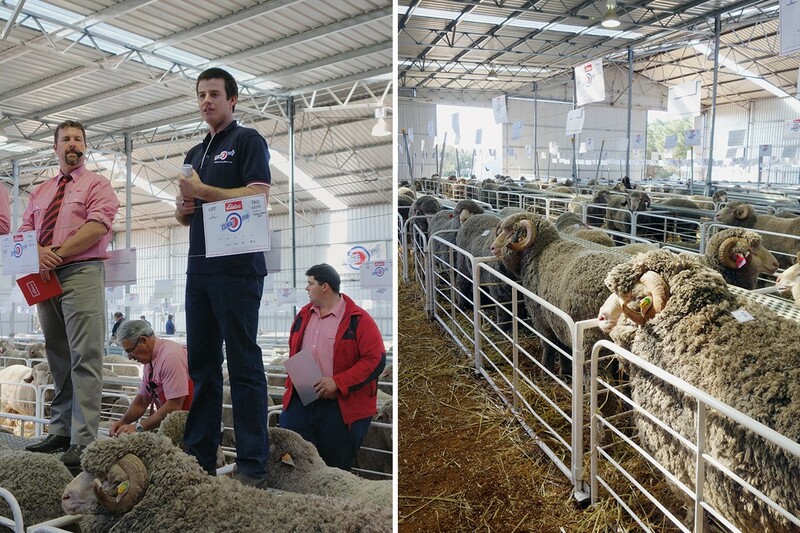 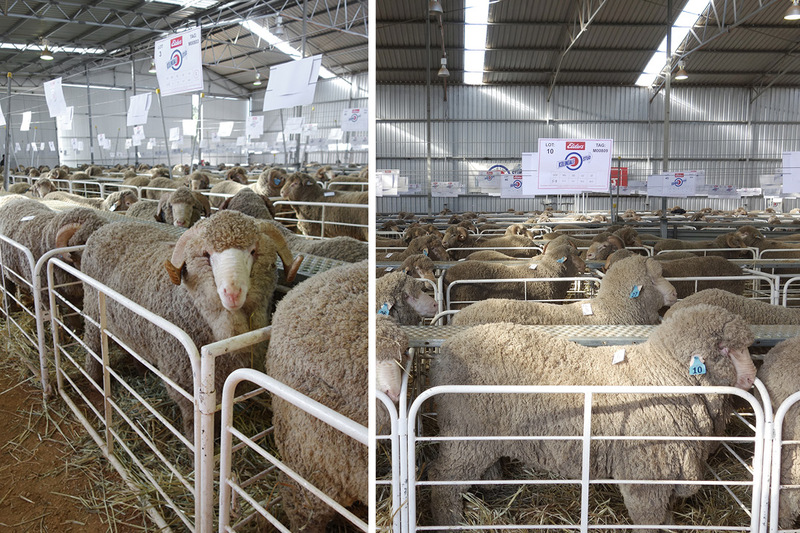 The aim is to sell 100 rams at the on property sale on Monday 21 September 2015, followed by private selections. 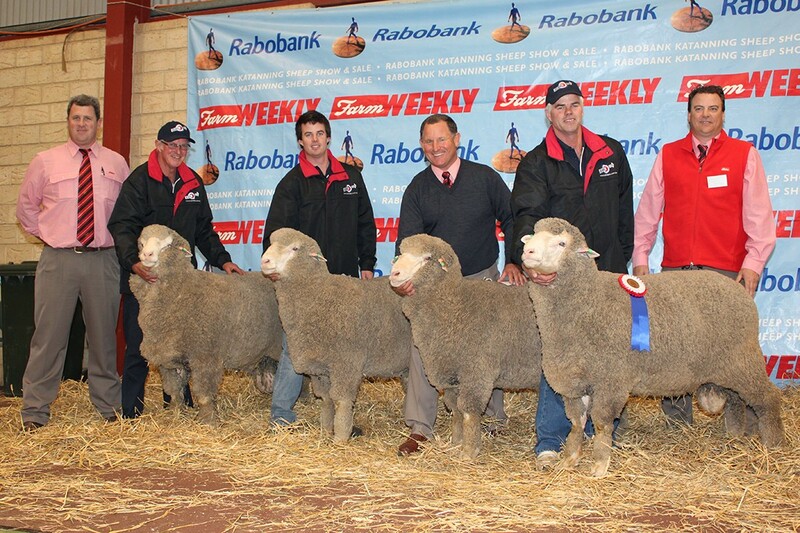 John Argent will continue to advise with ram selection and ewe matings. 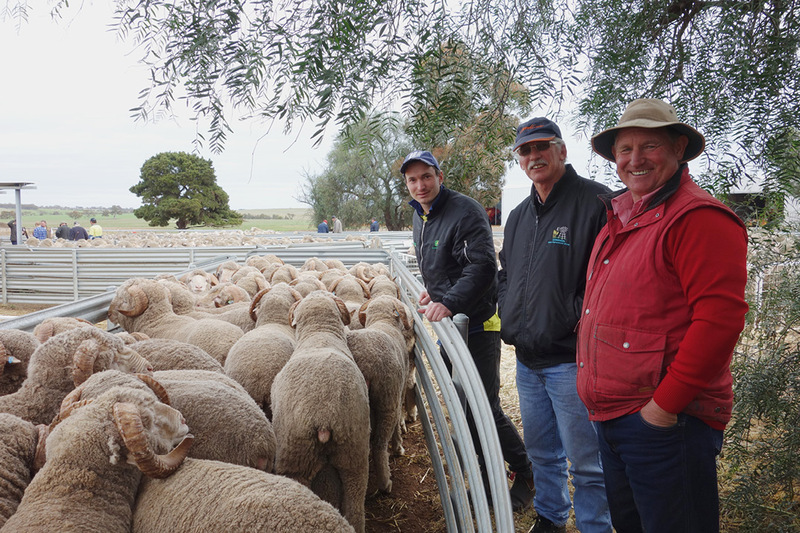 We are pleased to announce the purchase of Lewisdale-Corrigin Stud. 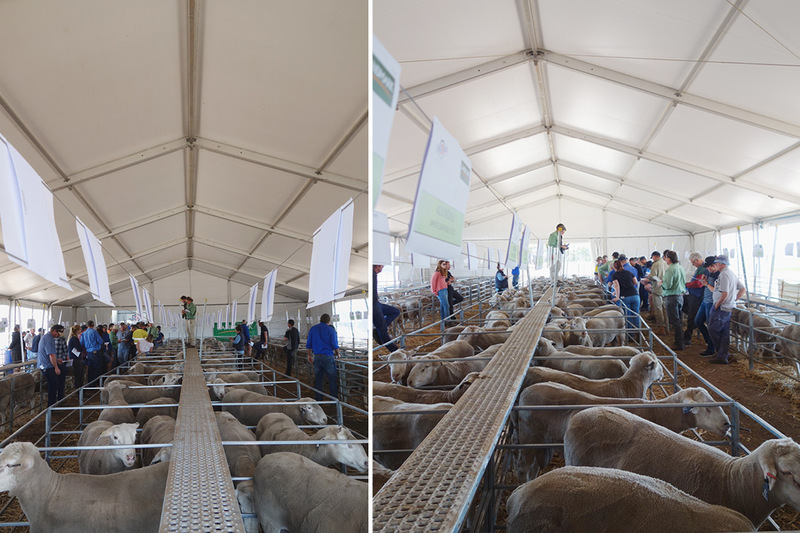 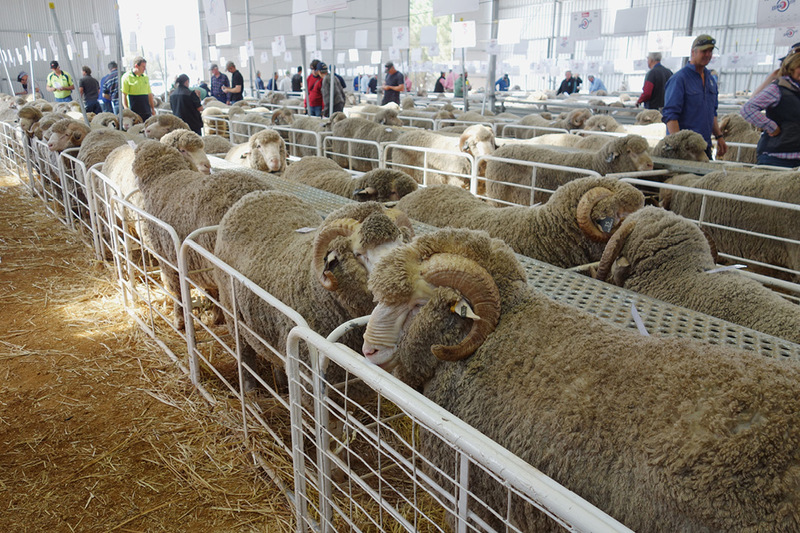 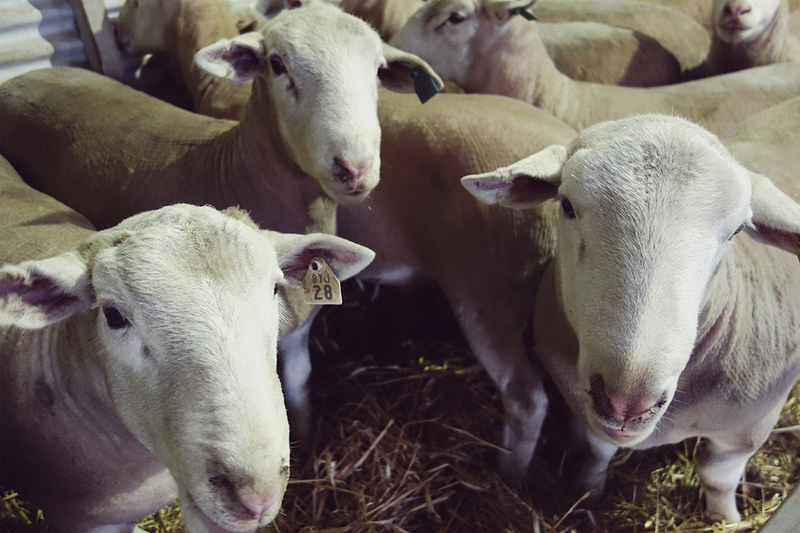 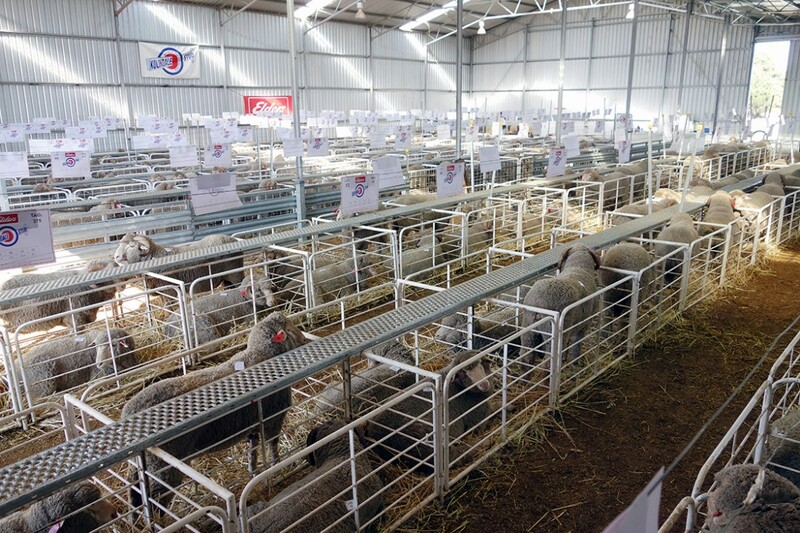 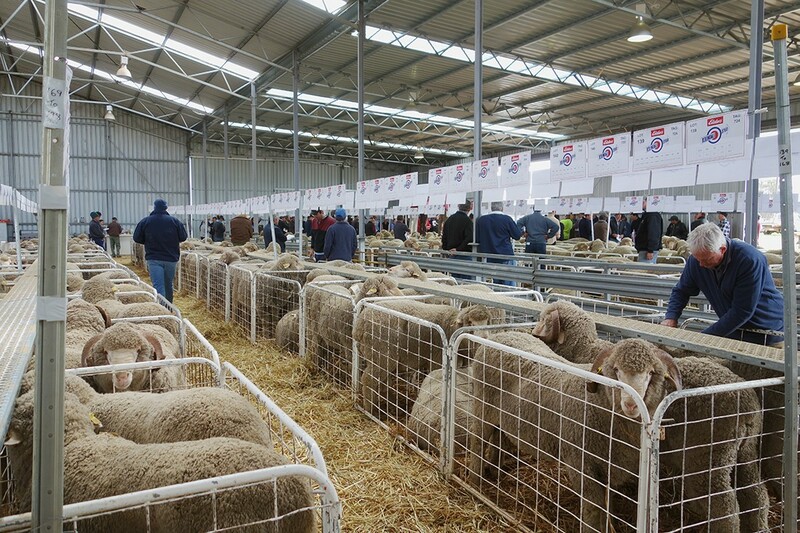 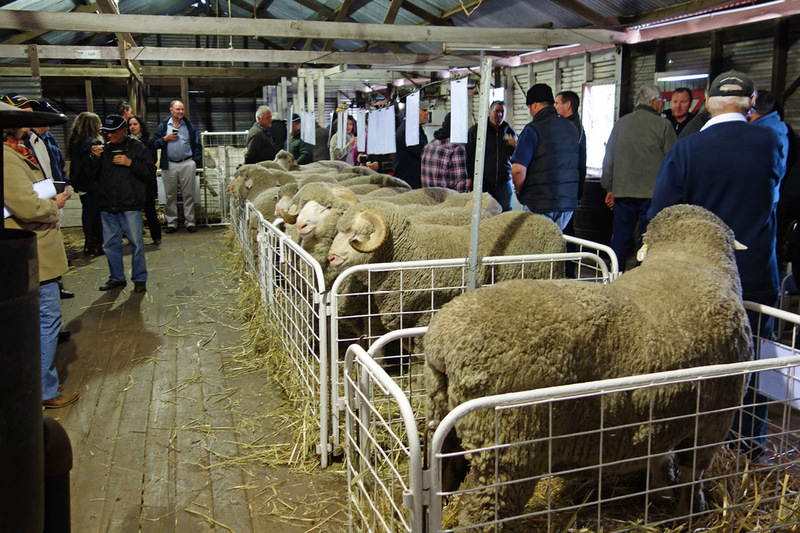 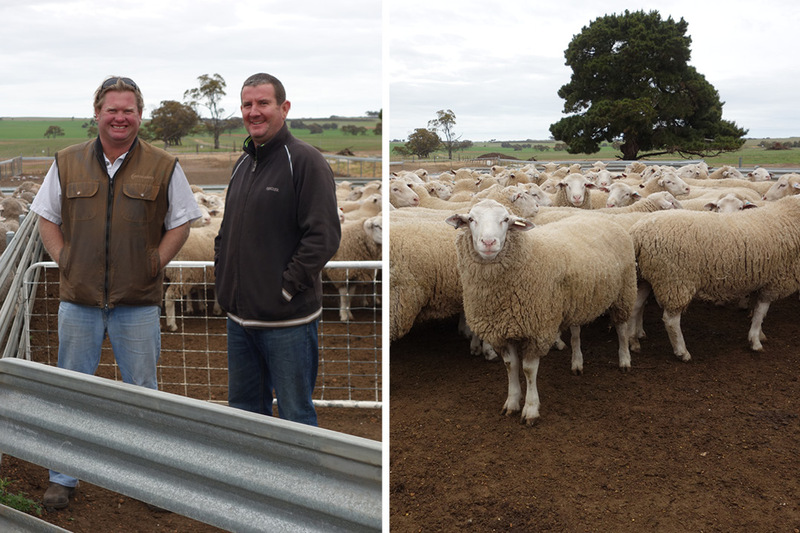 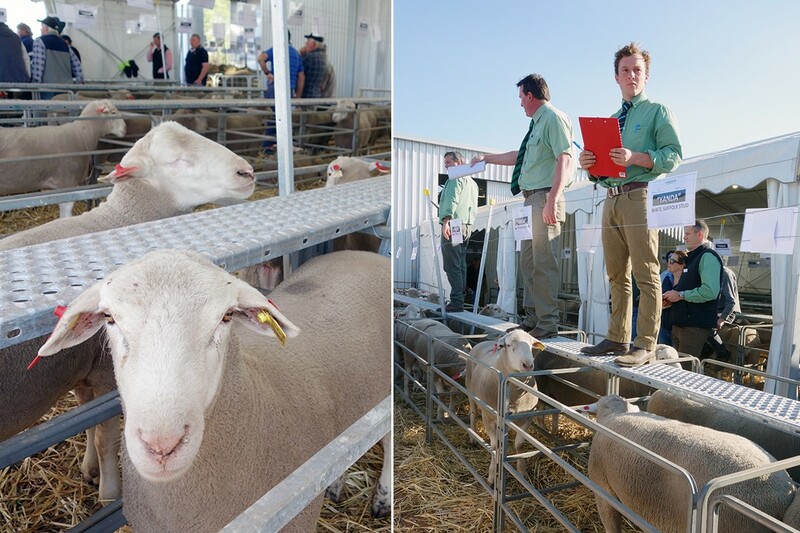 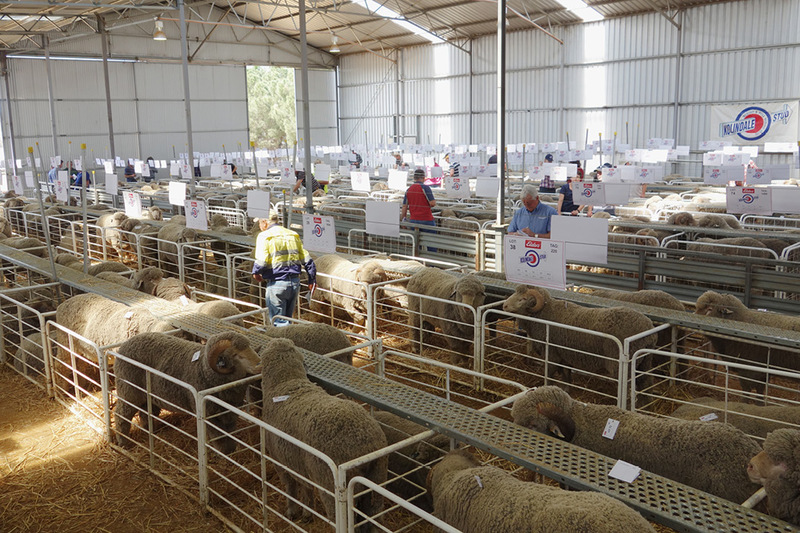 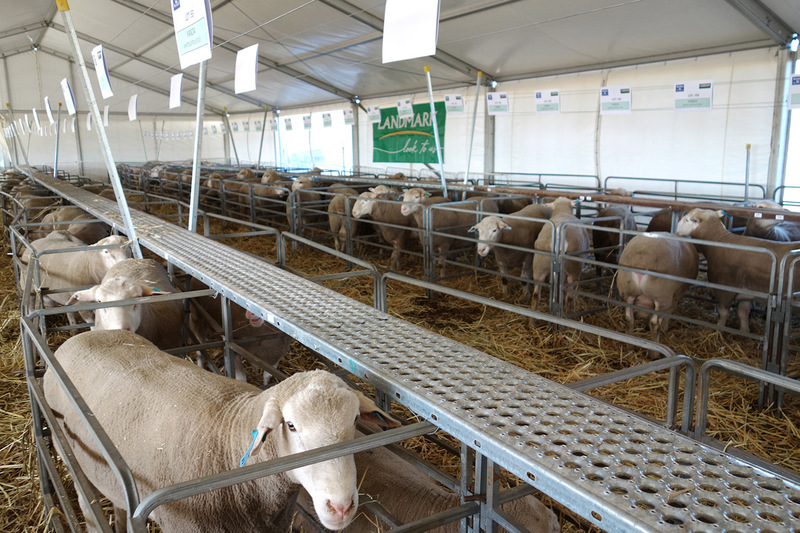 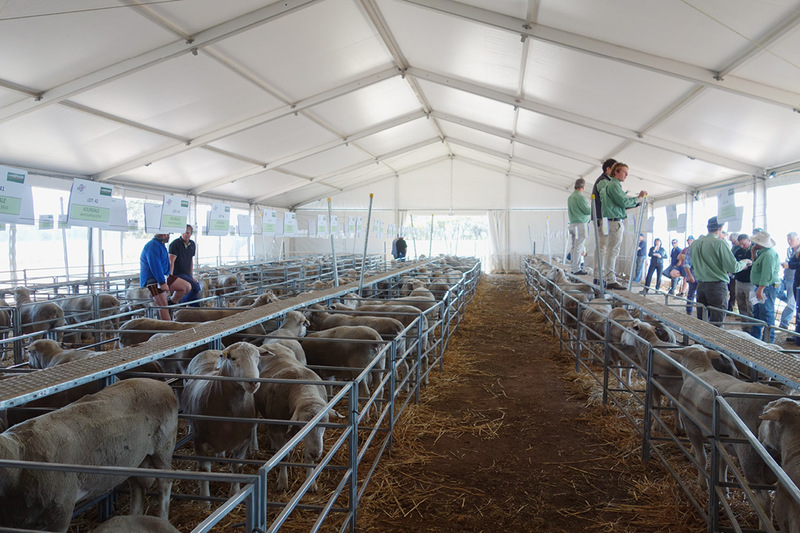 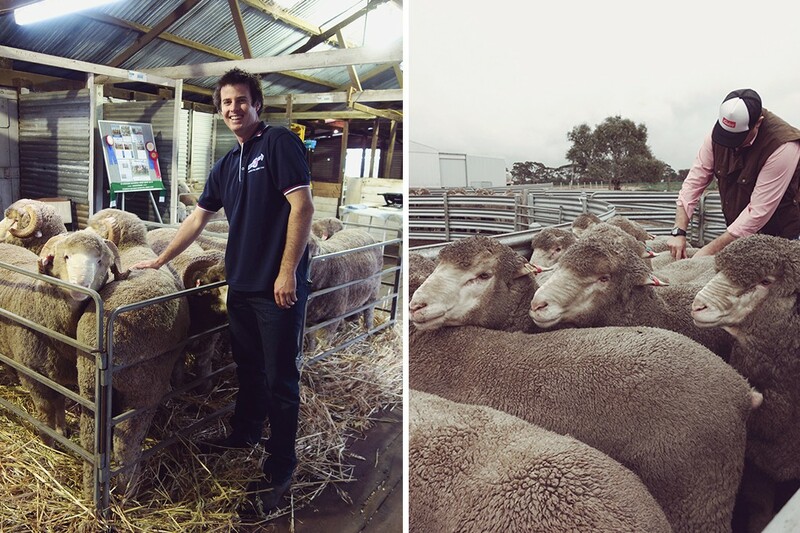 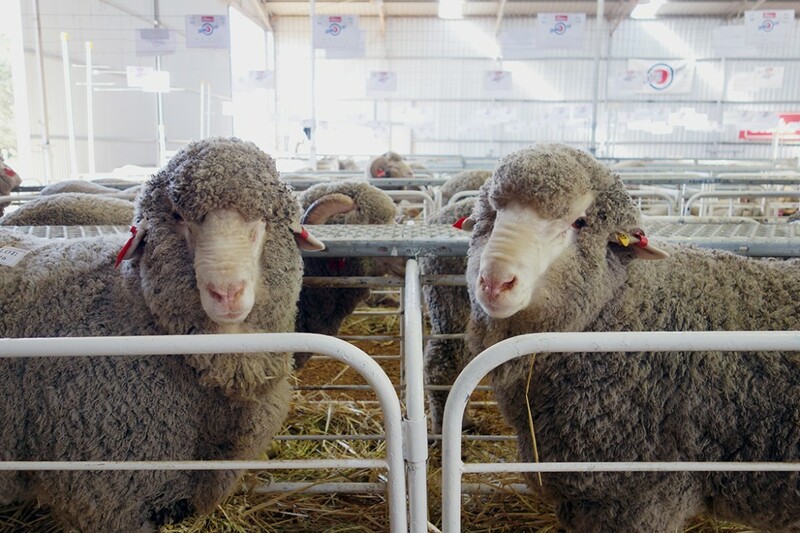 Included in the purchase were the top 600 ewes, 10 stud sires, 200 ram lambs and 50 – 1yo ram hoggets. 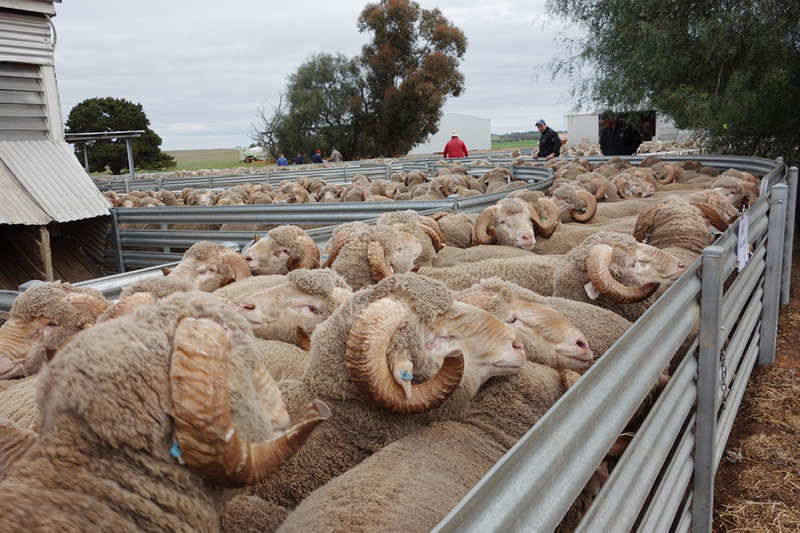 The stud will be run from our North-East Newdegate property with rams offered at the Corrigin Districts Breeders Ram Sale on September 14, 2015. 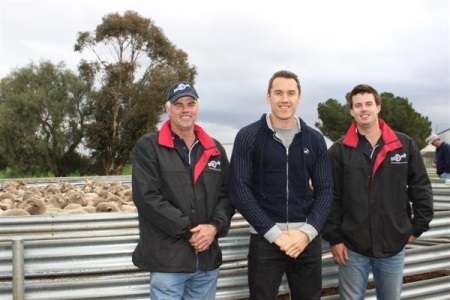 Jack and Ivan Lewis continue as stud consultants. 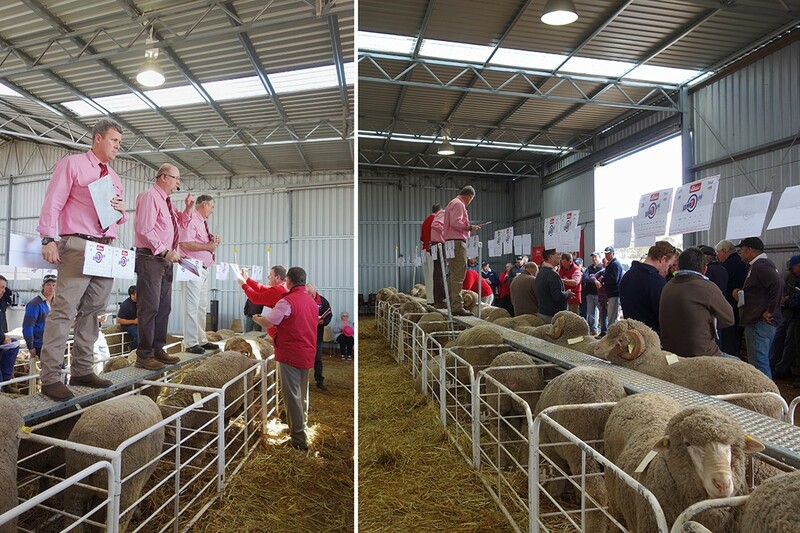 Thank you to current and new clients who attended our 2014 on farm ram sale and for making it a great success. 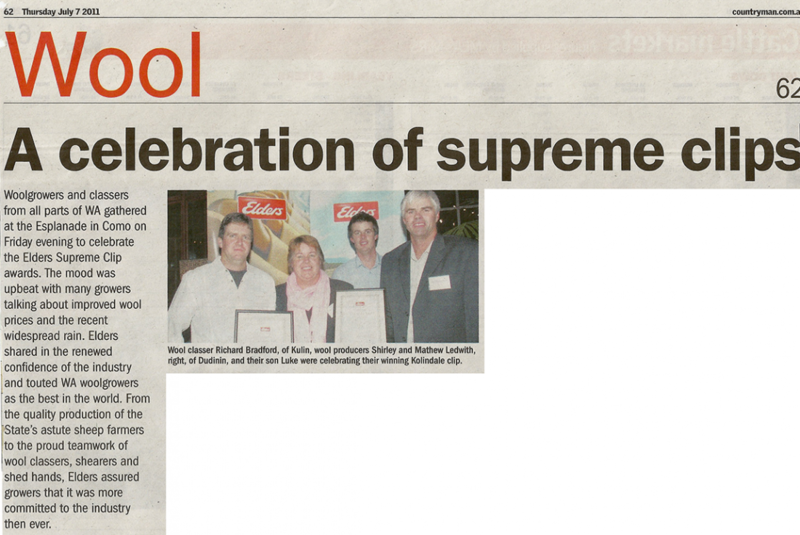 Your business is much appreciated and we look forward to keeping touch throughout the year. 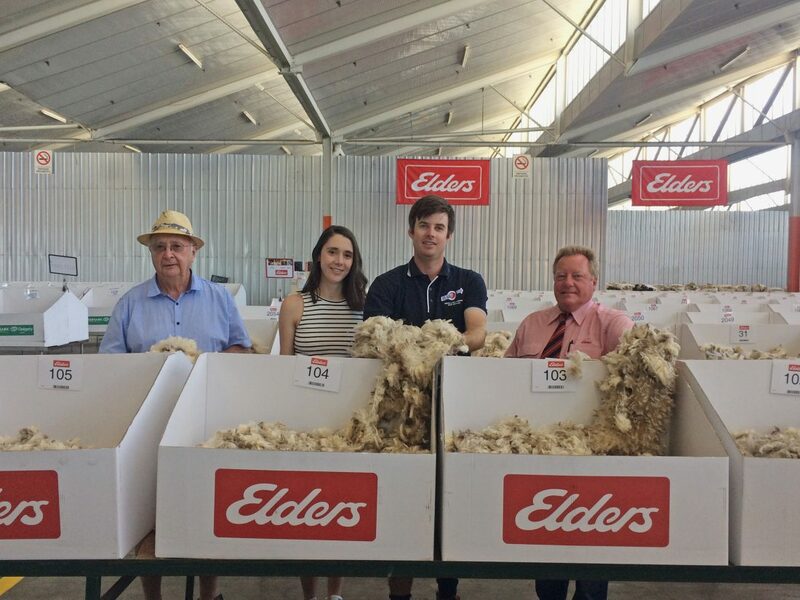 A special thanks to Elders, the Dudinin Tennis Club and the extended team involved in making the day a great success. 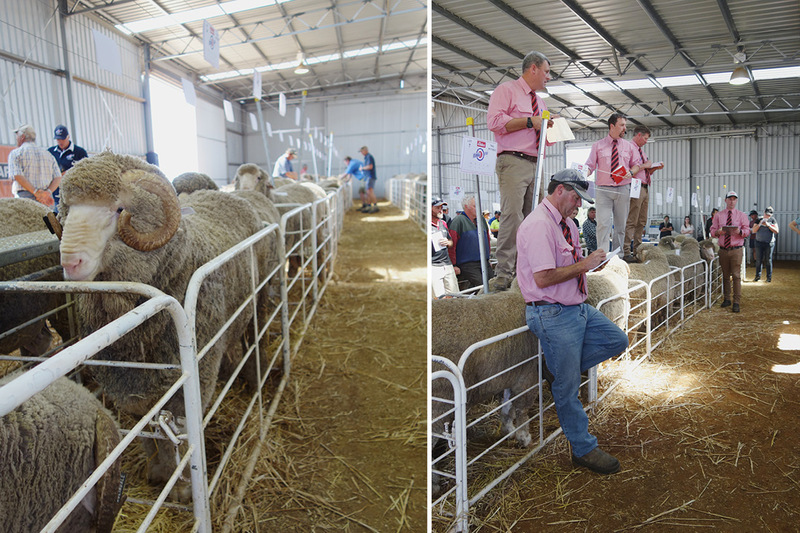 Competition for Collinsville Regal 242 was incredibly tight, with Luke Ledwith, Kolindale Merinos and Poll Merinos, Dudinin, WA securing the sire for $66,000 after fast and frantic bidding. 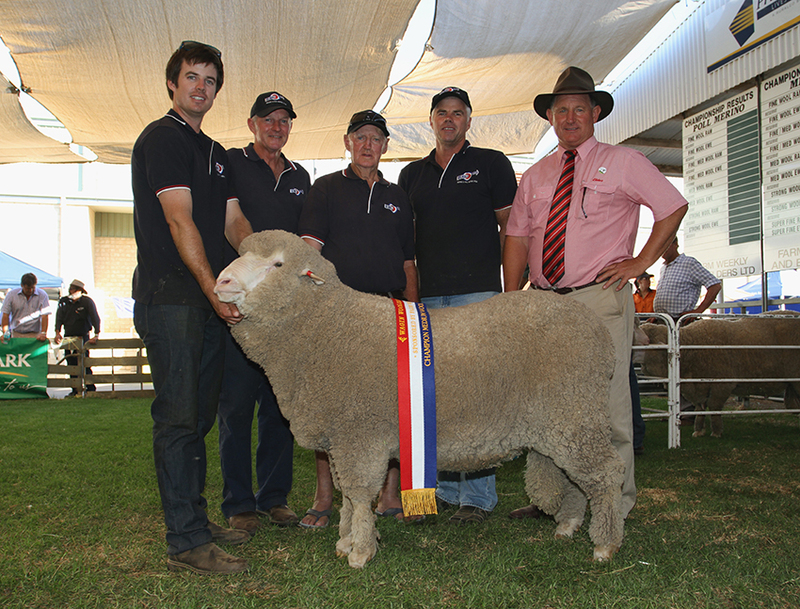 Regal 242 had been added to the Kolindale selection of sires after being purchased at the Adelaide Show Ram Sale 2014 for $66,000. 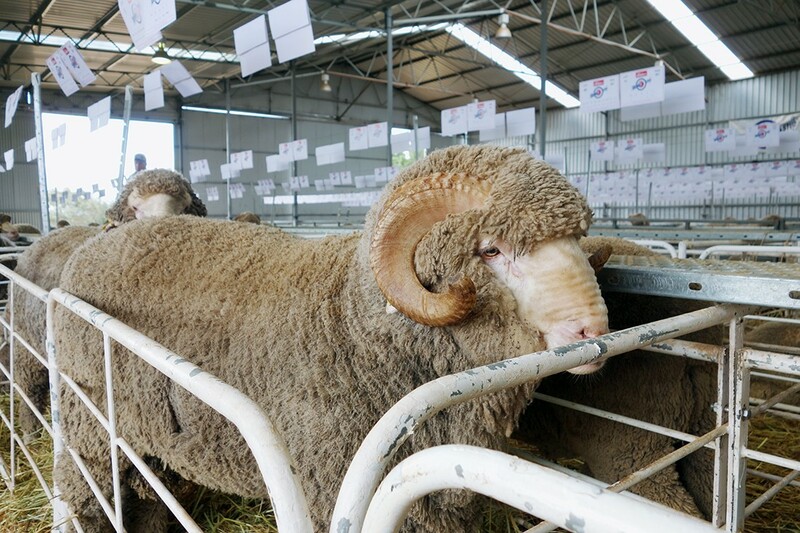 This large ram, with exceptional 19.4 micron wool is AI bred by Collinsville Regal 9 (top price Collinsville ram in 2012 sale at $23,000) and the grandson of Majestic (sold for $30,000 to Sherlock stud). 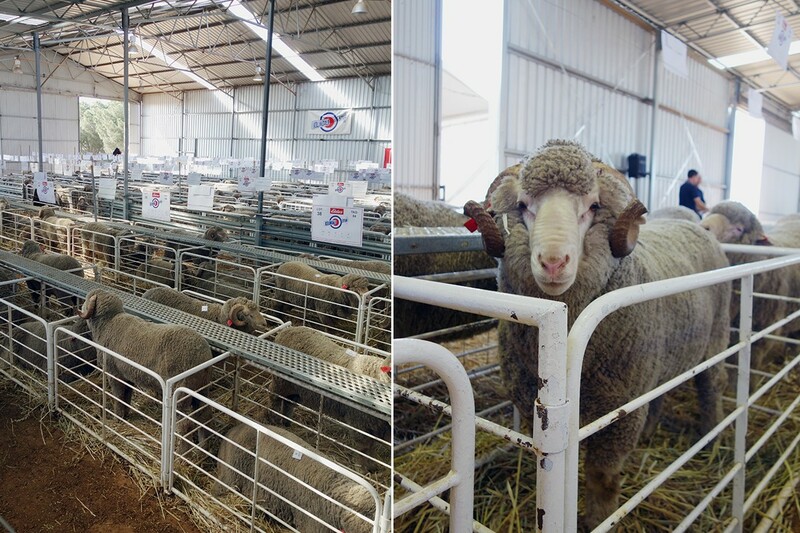 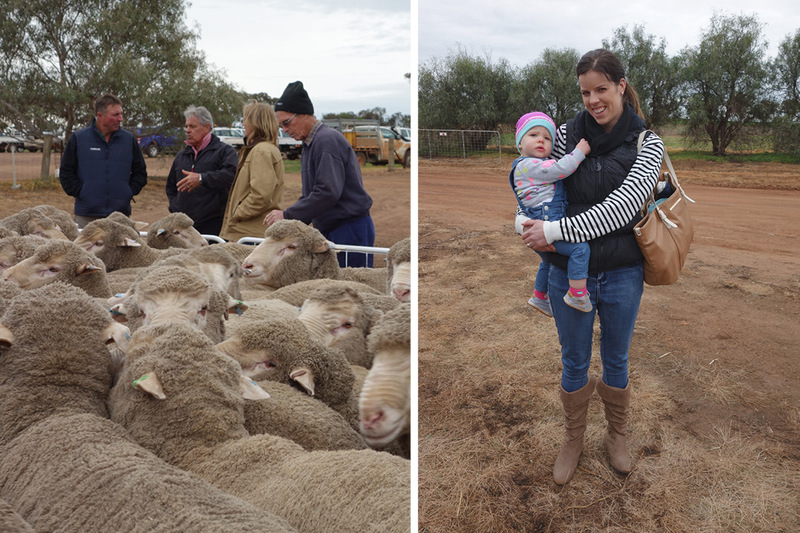 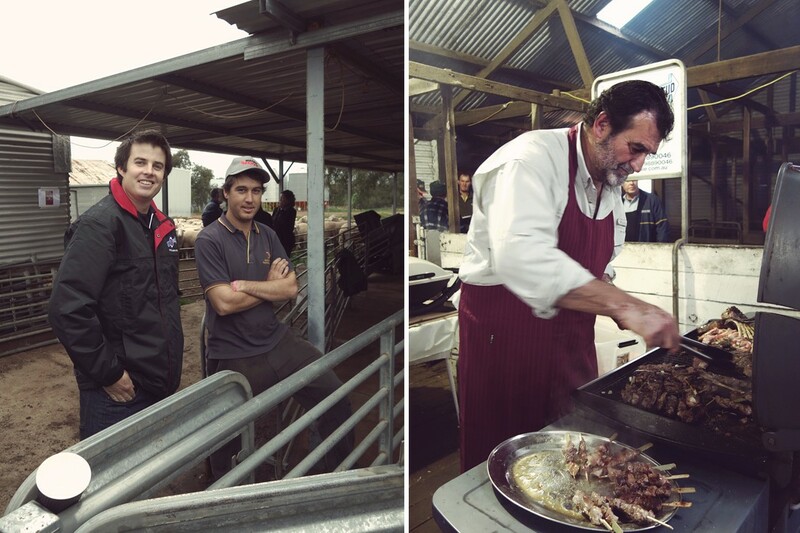 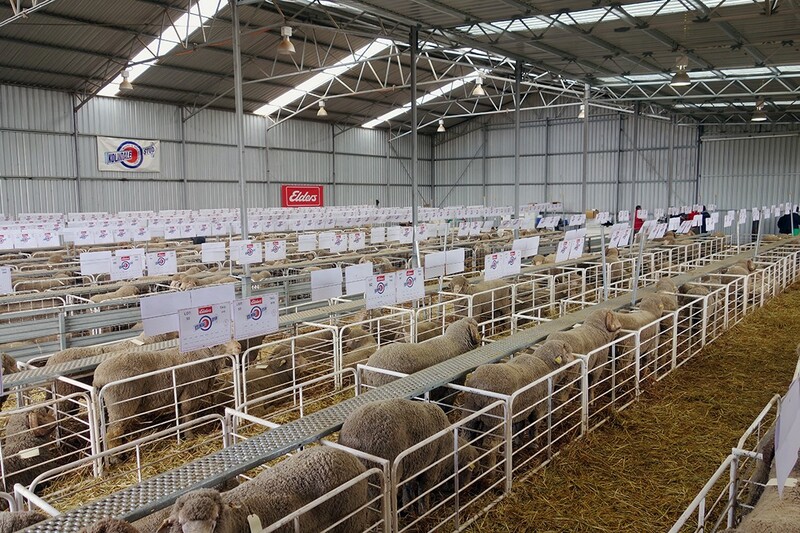 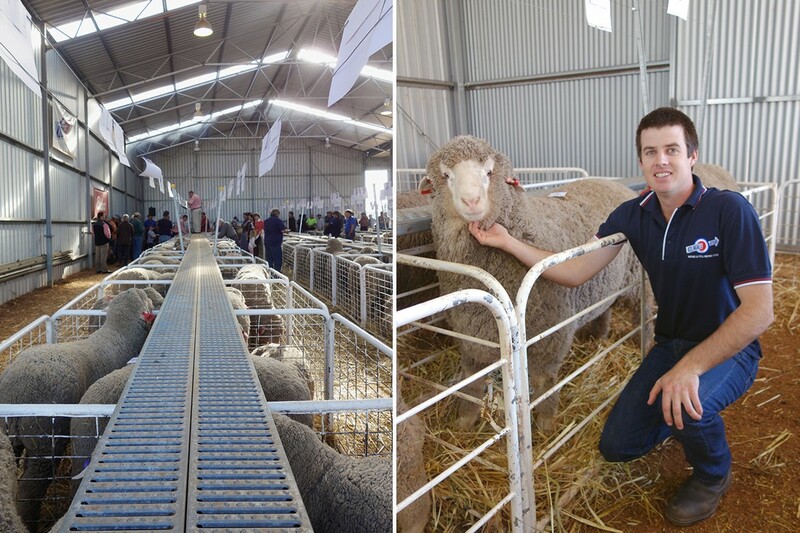 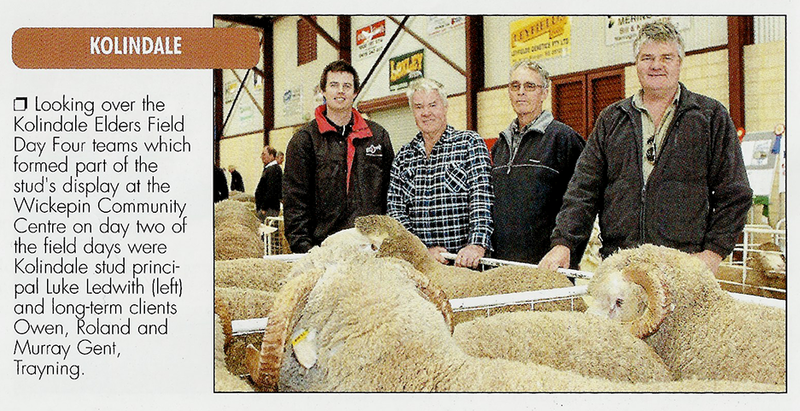 Thank you to everyone who attended our 2014 Esperance Ram Sale. 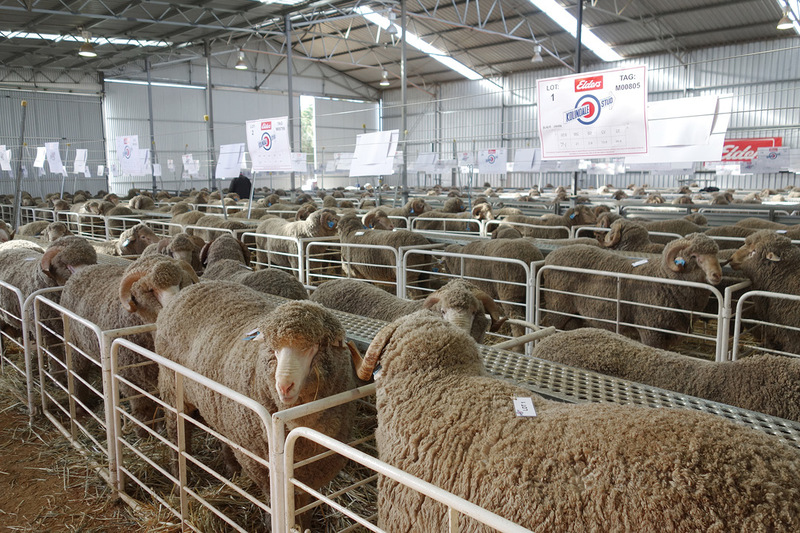 We would like to thank all our current and new clients for supporting us, we hope your purchase bring you much success. 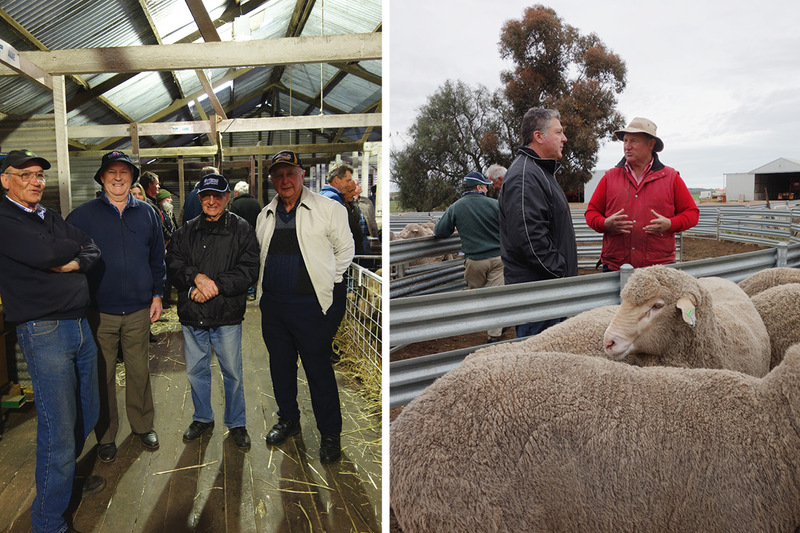 We look forward to catching up during the year and again at next years sale. 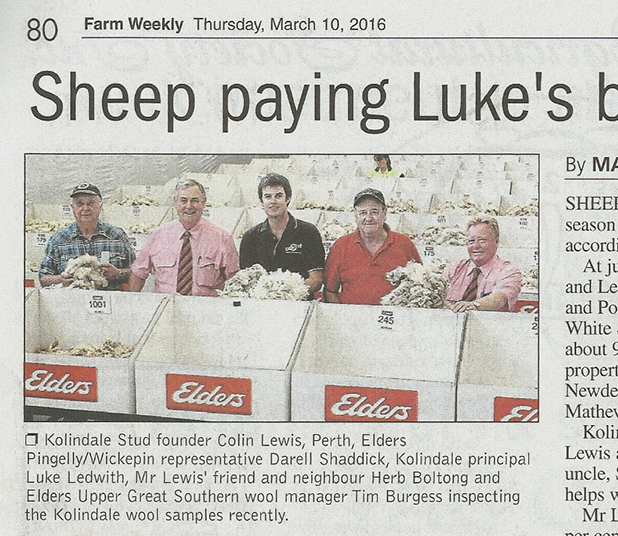 Please do not hesitate to call Luke if you require any classing or advice on your sheep flock. 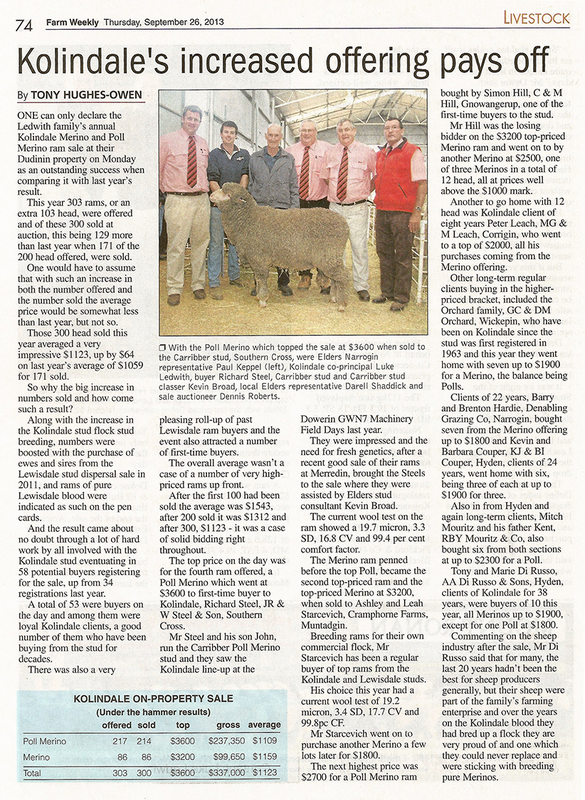 Kolindale achieved a top price of $8,000 for our Poll Merino sire at the Katanning Show and Sale, purchased by Barloo Stud, Gnowangerup. 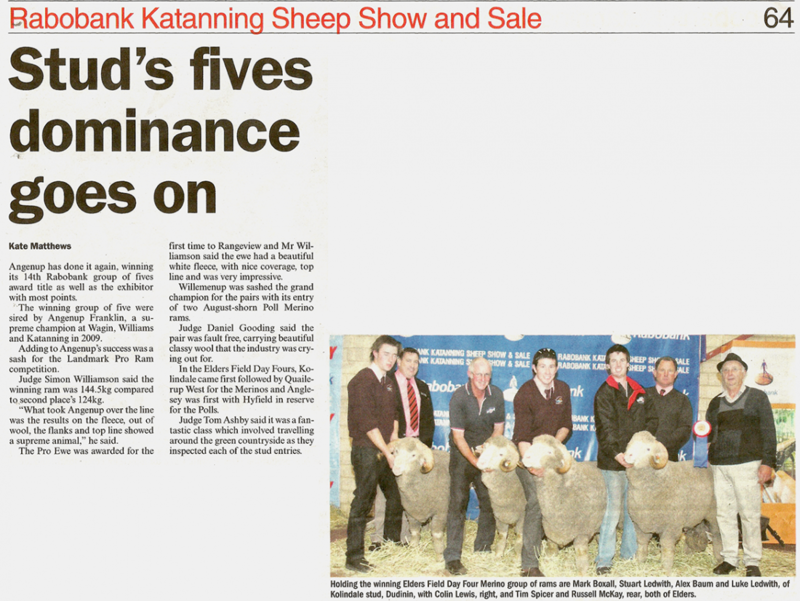 Congratulations to AD & PA Tyson, Kulin, on the top price of this year’s June Special Sale in Katanning. 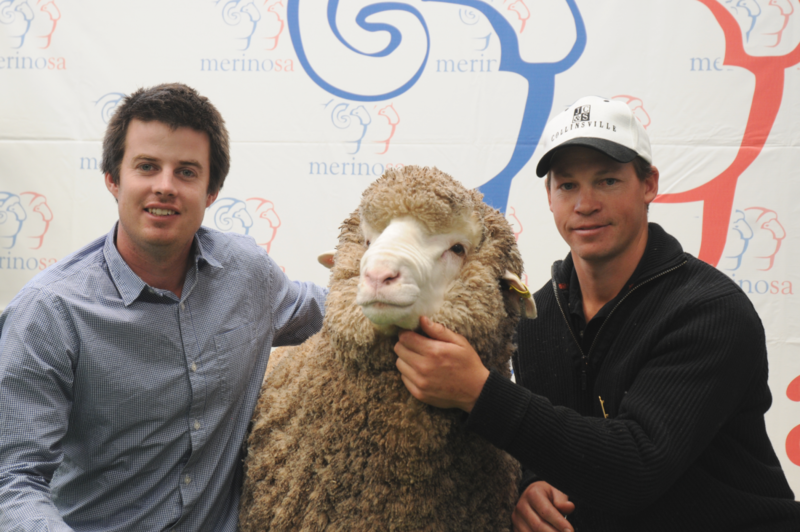 Kolindale has backed up last year’s winning performance in the Merino section by this year taking out the Poll Merino section title. 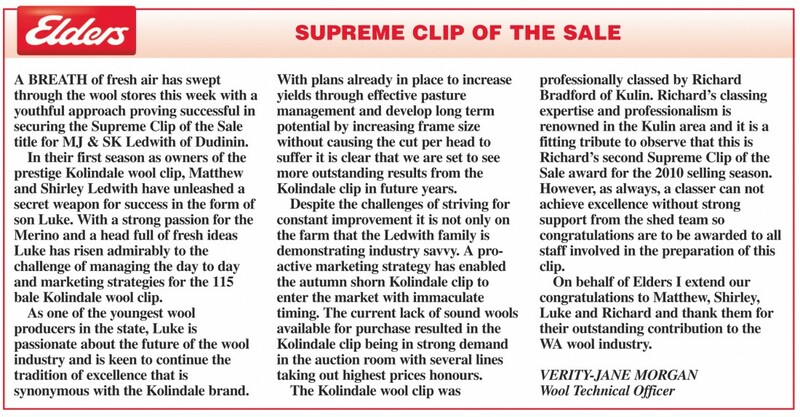 The Ledwith family’s Kolindale clip, Dudinin, was the winner of the supreme clip of the sale award for sale F31.